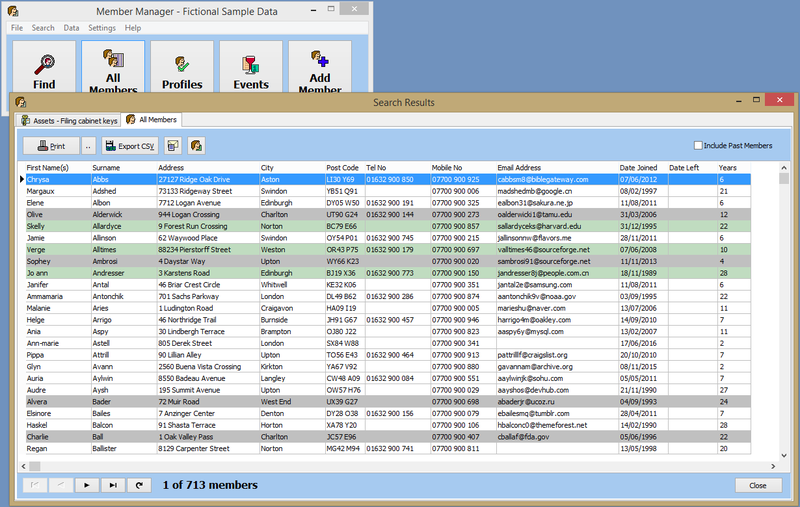 Effectively manage your charity, club, society or sports team membership with Member Manager. A great alternative to keeping your details on paper or a home brewed spreadsheet! Can help you ensure compliance to data protection laws (including GDPR) - easily update, archive or remove members details, ensure data is up-to-date and keep your data in an application designed for that purpose! 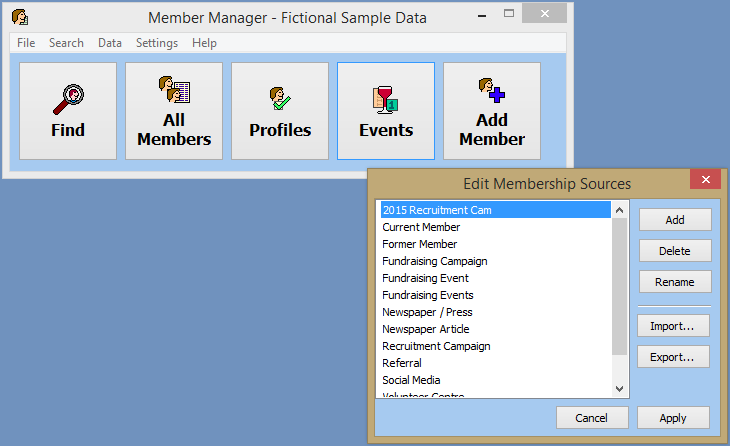 How can Member Manager help your group? 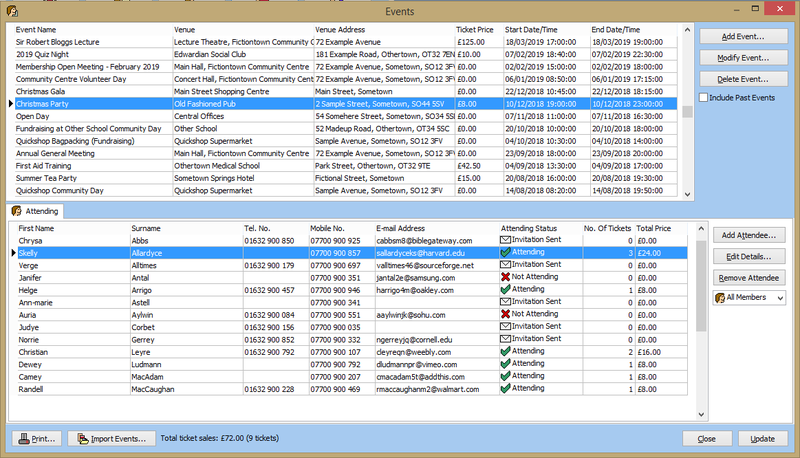 Manage events, meetings and fundraisers including delegates and ticket sales. Monitor the success of recruitment campaigns by keeping track of how members heard about and joined your organisation. Find and manage outstanding subscriptions and fee payments. 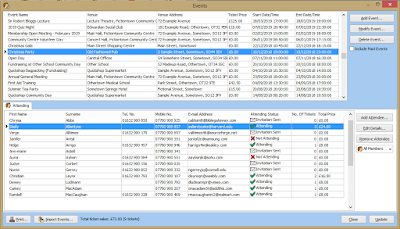 Keep track of any organisation property (e.g. keys, documents, etc.) issued to members. 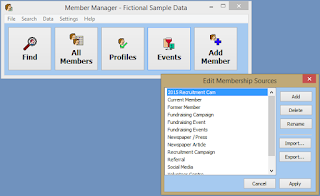 Import your existing membership and event data from CSV files. 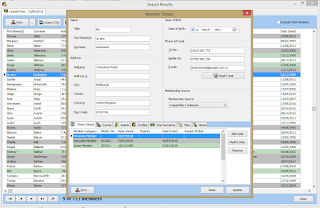 Export search results and membership information to CSV file for use in other applications. 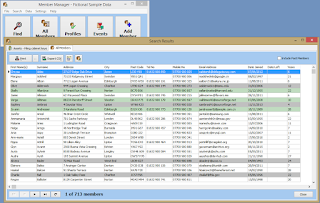 Easily keep a record of different duties, training/certification, etc. for members by setting up different profiles. Member Manager runs on your desktop - no need for constant Internet access, and no subscriptions - once you purchase Member Manager, you can use the software forever! Try Member Manager for free for 6 weeks - no obligations, no spyware and no need to register to download! 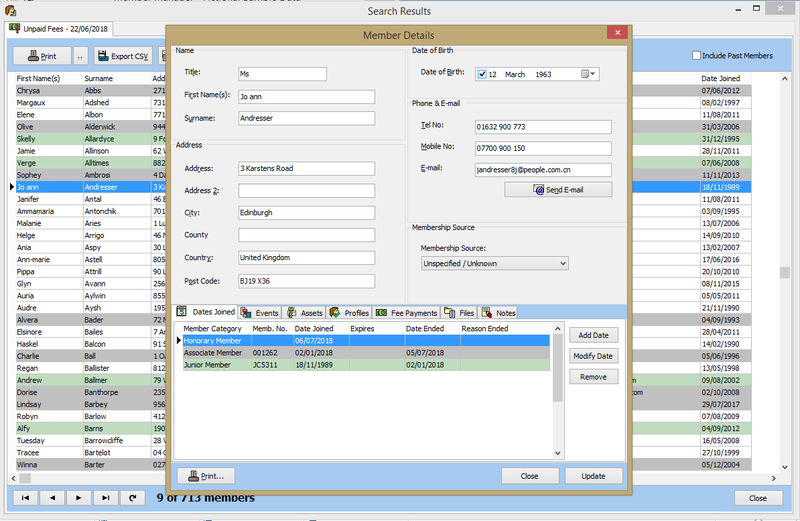 Updates in the new version include improvements to product support from within the application, the option to search by membership source, selecting categories when searching for unpaid fees, an optional Age column in search results, improvements to displaying files for members, additional buttons and colour schemes available for main screen and improvements to importing existing data. A detailed list can be found in the product documentation. We are happy to discuss site or bulk licensing for your organisation. Includes product support and updates to any new version of Member Manager released during that time. Our prices are comparable to other leading membership applications, and there are no subscriptions - we believe Member Manager can offer value to your group, and will pay for itself! If you find Member Manager has not delivered value for you, you can ask for a FULL REFUND within 30 days of purchase - no questions asked, and you can keep the software as well. Need help with installation or transferring data? 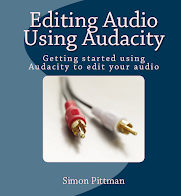 Contact us at simon@libraryplayer.co.uk to discuss further. Try Member Manager for free for 6 weeks! Get started and download a free 6 week trial of Member Manager. There are no obligations, no spyware, and you don't need to register or give us your e-mail address. Download your free trial and see how Member Manager can make a difference!